DRM-X - iOS (iPhone) DRM. DRM Digital Rights Management Protect Content PDF, Protect MP4, Protect WebM, Protect MP3, Protect WAV, Protect html. 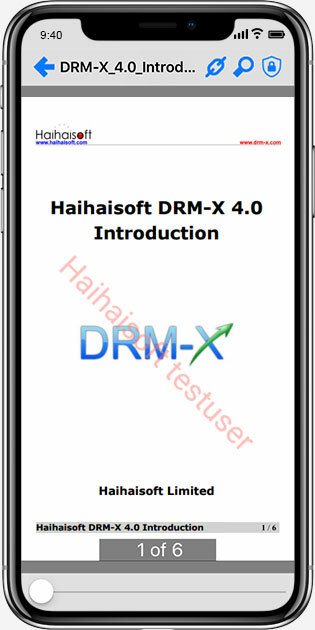 DRM-X 4.0 supports encrypted audio, video and PDF documents for viewing on the iPhone/iPad. 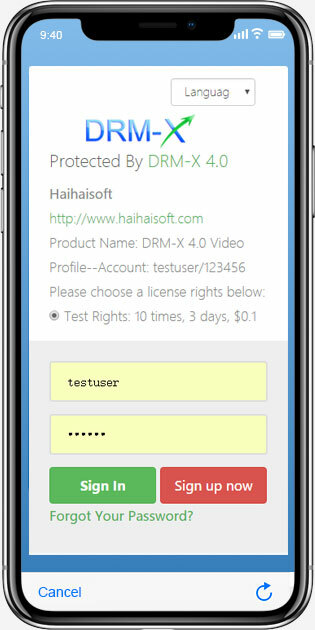 Playing encrypted video on mobile phones still has advanced DRM features on the computer, such as dynamic digital watermarking, hardware binding and revocation of licenses. Xvast for iOS, it’s a web browser based-on Apple’s WebView, it includes media player and PDF reader, and support playlist. 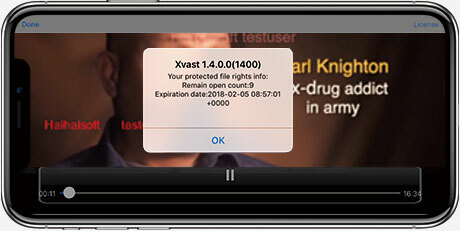 Xvast supports DRM-X 4.0 encrypted mp3, mp4, and PDF files. Your customer only need to install one Xvast app to open both protected audio/video and PDF files. When opening an encrypted file for the first time, the user is required to login to obtain a license before the file can be opened. The license obtained by the user is bound to the user's device. Propagation are not allowed. 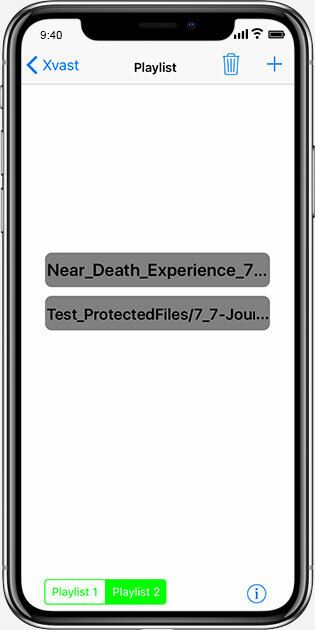 In order to make it easier for users to play videos on iOS, Xvast for iOS support playlist feature. Users can add synced audio and video files to Xvast playlist for easier file playback. Xvast for iOS supports PDF files encrypted with DRM-X 4.0. It includes fast PDF reader within itself. It supports outline, reflow, links, search PDF, and check Licenses. Your customers can also synchronize protected files from iTunes to devices through File Sharing. Xvast for iOS includes media player and PDF reader, it supports DRM-X 4.0 encrypted mp3, mp4, and PDF files. 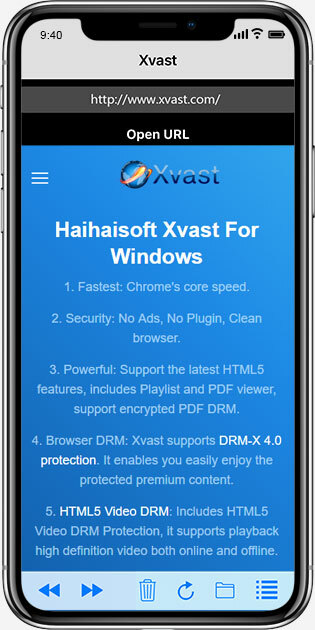 In Xvast browser, it can support video only online playback (download is not provided), Xvast can automatically detect the specified HTML5 video tag, prompting the user whether to play online. You can also provide the download URL to customers, user clicks on the file URL in the web page to download the protected file, and then plays the file in Xvast. How to sync file to Xvast for iOS ?